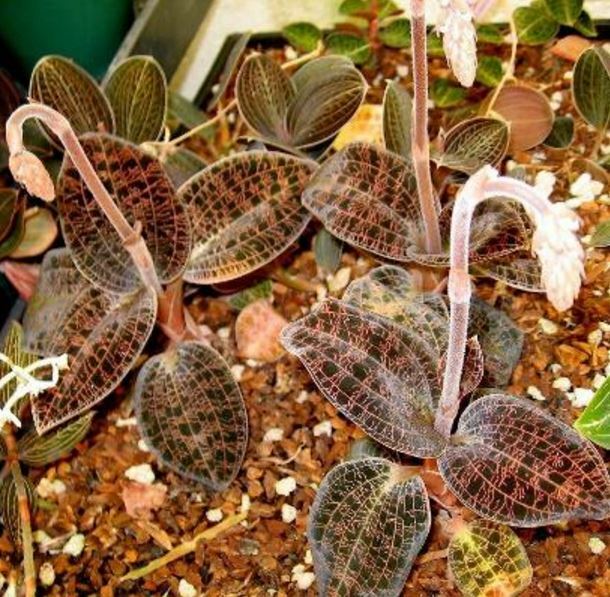 An exceptionally beautiful Jewel Orchid! Deep burgundy leaves are laced with a fine netting of pink, gold and green sparkling veins. A real gem!